Joking aside, I seriously could have. 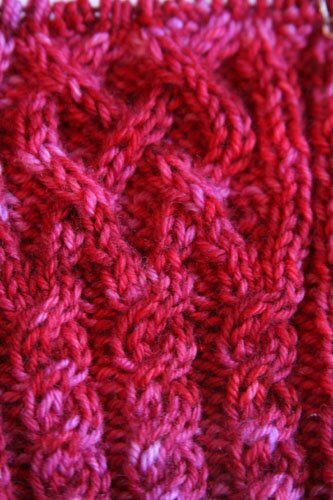 It has been a long time since I have been so enamoured with a knit that “just one more row” turns into 4, 6, 12. I’m so into this one. The feel of the yarn, checking every row to take in how the colorway is knitting up. Watching the plump cables emerge.